New research out of Oxford University’s Biblical Studies department has just uncovered shocking new information that has Christians all over the world reconsidering their religious beliefs entirely: Biblical scholars have discovered that the Twelve Apostles considered Jesus more like the Fez of their friend group than their leader. The faith of millions must be utterly shaken right now. 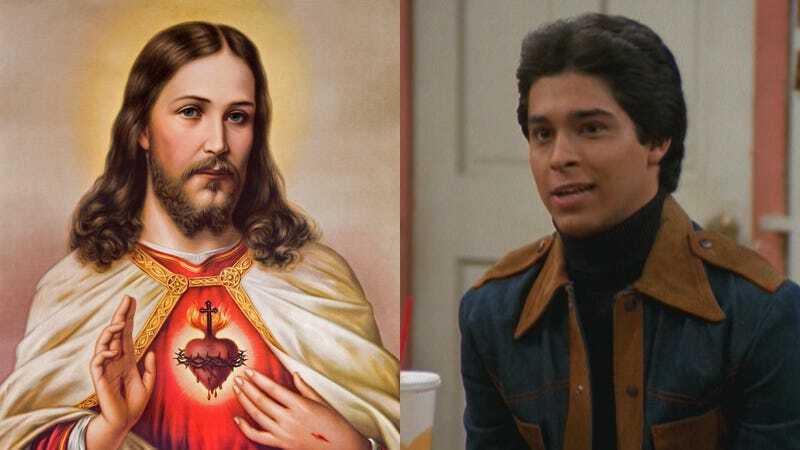 According to newly uncovered writings from Apostolic-era Jerusalem, the disciples’ personal accounts of Jesus reveal that most of his friends thought of him as the foreign guy who everyone mostly enjoyed hanging out with because of his eccentricities, not unlike how the teens of Point Place, Wisconsin regarded the character Fez in the sitcom That ’70s Show. Professor Boesch added that Jesus’ role as the Fez of his friend group was further illustrated by passages in the newly discovered texts that indicate that, following Jesus’ crucifixion, the apostles did not go on to spread the word of Christ because they believed in his moral teachings or because they felt he was in charge of them, but rather because they wanted to tell everyone all about their hilarious foreign friend who was obsessed with giving people large amounts of fish. This discovery serves as a severe blow to centuries upon centuries of beliefs regarding the central figure of Christianity, which are largely based on Christ’s role as a well-respected and influential leader like That ’70s Show’s charismatic pretty boy, Michael Kelso, or perhaps the sitcom’s central protagonist, Eric Forman. Instead, overwhelming evidence has proven that all Twelve Apostles considered Jesus to be a super-horny foreign guy like Fez. This is definitely a watershed moment in world history. Those who abide Jesus’ teachings must be shocked to learn that who they believed to be the one true Messiah was actually a true Fez. Modern Christianity must now adapt to the new revelation that the figure they worship as the Messiah was viewed by his friends as the token foreign guy who they would bring everywhere just to see what kind of weird stuff he would do. For now, it suffices to say that Christians will never look at their Lord and Savior the same way again.